BRIDGEWATER, New Jersey (WABC) -- The New York Jets are teaming up with the NYPD to help some students with their holiday shopping list. 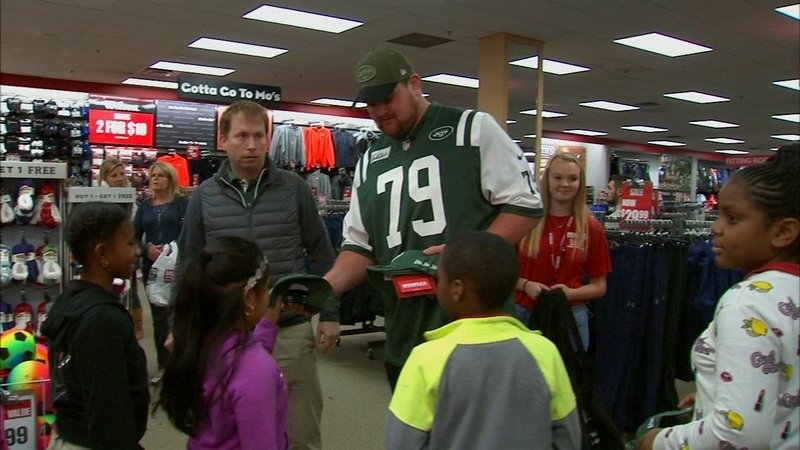 In an effort to strengthen community bonds, Jets players and officers from the 75th precinct took 25 students on a holiday shopping spree at the Modell's in Bridgewater, New Jersey. The students all attend the Brooklyn Community Services Generation Jets Academy. Each won a $200 gift card through a Jets play challenge.